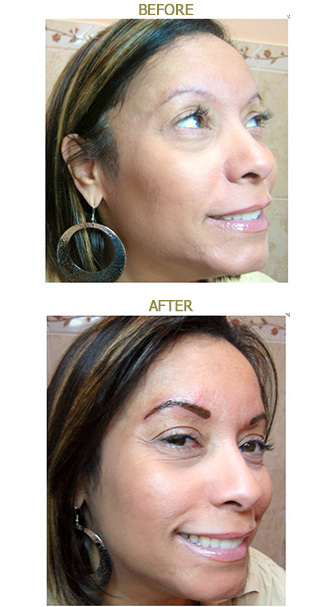 Improve & Enhance Natural Beauty with Permanent Eyebrows! It’s a challenge for many women to attain the symmetry, shape and color of eyebrows that is right for their coloring and shape of their face. 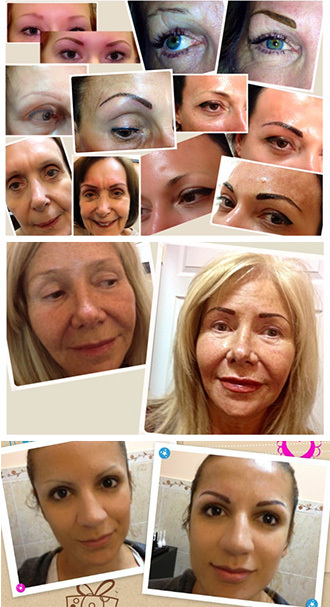 Permanent makeup is a very natural looking alternative. 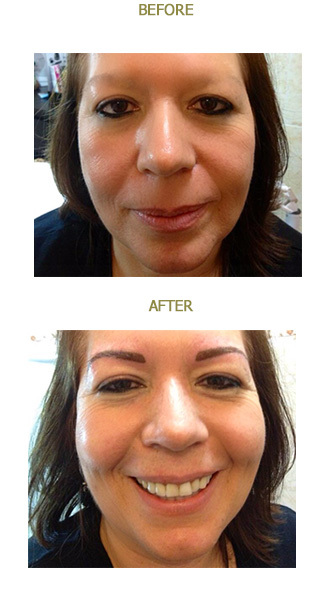 Permanent makeup will make eyebrows look fuller and balanced with the client’s facial shape and features. The color shading will compliment hair color and features. The brow line frames your face and the right eyebrows can remove years from your appearance. Depending on the client’s preference eyebrow shapes can vary in sizes and color. Eyebrow colors are custom mixed for each individual and range from a light blonde to a deep brunette. Your choice of hair stroke simulation or a solid line, all after your approval. We work with clients to achieve the best shapes to compliment their individuality. We can thicken thin eyebrows, change their shape, correct over-tweezed brows, and create beautiful brows where none exist due to aging, chemotherapy or Alopecia (hair loss). 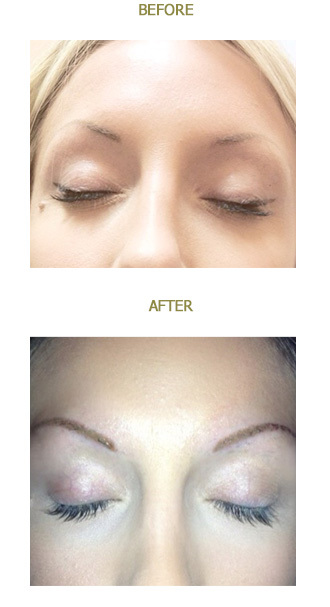 With permanent makeup and Larissa’s unique artistry you can have the perfect expressive arch you’ve always wanted. There’s virtually no down-time with this procedure. The implanted color will be slightly darker for the first few days until the top layer of skin exfoliates resulting in a softer, more natural appearance of the eyebrows. 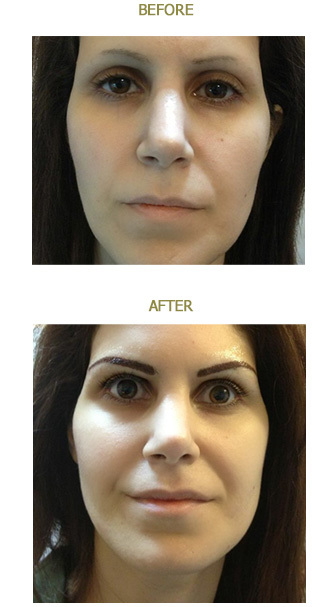 You will see how your new enhanced eyebrows can make a dramatic difference in how you look. Imagine not having to hassle over your eyebrows every day.